Portcullis Lodge is a Craft Lodge, that is, encompassing the three degrees in Freemasonry. 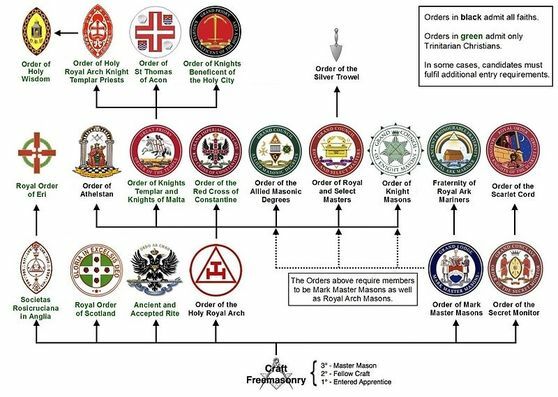 There are however several other Masonic orders (sometimes called the side or appendant or concordant orders) to which Master Masons in good standing may seek to join.. Three of these are described below together with a link to their website. There are several other orders. A diagram indicating the connections of several degrees and orders is shown below.